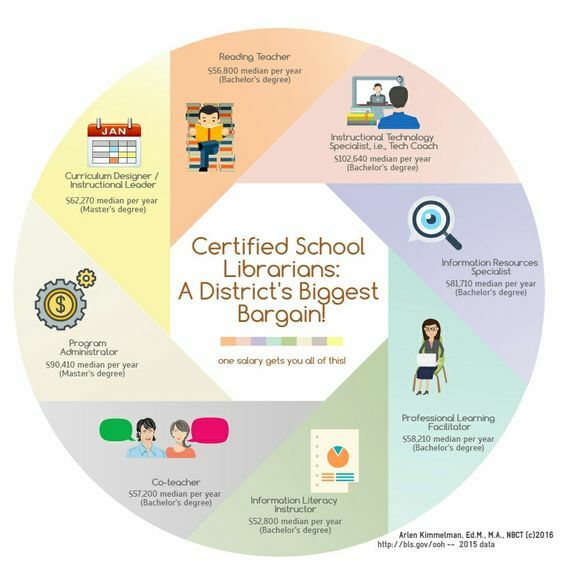 ​What does it take to be a certified school librarian in TX? Why does it matter in HISD? School librarians are among the most well-educated teachers on any campus, and they have 2 years full time classroom teaching experience. They can work well with curriculum coordinators, literacy coaches, classroom teachers AND directly with students. Of course, campus principals want to make the most of these skills. That teaching expertise is in addition to management skills that support campus collection development, the selection of books best suited to the needs of that specific campus and the circulation of those resources to students and classrooms. When teacher librarians are saddled with non-stop classes, they must find hours beyond the school day to build the collection that will entice hesitant readers to discover the joys of literacy and an enthusiasm for learning. Librarians also know technology, and can coach both teachers and students to integrate new digital resources – including those funded by the state – into classroom curricula. Effective Librarians read widely to know trends in education and information technology, setting them up to be strong resources for administrative goals and professional development. HISD is not yet making full use of these unsung heroes. When schools staff a library with a teacher who has no library training, the students are missing strong book selection skills built on a breadth of training n choosing resources in all subject areas. When a paraprofessional has the job, the school truly has installed a babysitter with perhaps some clerical skills; no teaching or collection development will happen. To understand the range of skills Effective School Librarians offer, look at A GUIDELINE TO STAFFING CHOICES IN SCHOOL LIBRARIES.